I made this last night for fetoor. Put a drop of oil in the pot, add turmeric, cumin, red chilli pepper, salt, a stock cube and some tomato paste. Then add your peeled and veined shrimp ( which you will have soaked in lemon juice for an hour ). Add water and loomi ( hard ‘black lemon’ ) and about three peeled and halved or quartered potatoes . Bring to the boil and then simmer. Meanwhile prepare your Basmati rice with turmeric and onion. On the side I served yogurt mixed with fresh coriander and garlic + a pinch of salt, all mixed in the blender. Well these are my absolute favourites and if anything is going to get me fat over Ramadan, it’s these- cheese filled pancakes served with a sugary syrup…………….dream on. Inside, I usually put cream cheese, but some people put cream and others walnuts. In blender, add water, cream of wheat, instant yeast and sugar. Blend. Slowly add flour and blend. Add baking powder and baking soda. Blend well. Cover and let rise until small bubbles form on the surface. Heat griddle on high heat. Blend mixture one more time before you cook on griddle. Pour mix onto griddle into medium circles. Once the cake is golden brown on the bottom, remove from griddle – do not flip over. 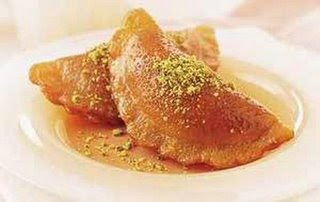 Take medium katayef pancake, place one tbsp of stuffing of walnut or cheese stuffing. Fold over katayef, pressing the edges of the dough together in a pirogue shape. Line the katayef in a baking tray. Brush each one with cooking oil. Place in oven for 10 to 15 minutes, then flip over to brown other side for another 10 to 15 minutes. Or you can fry them ( hint, VERY unhealthy!)….. Then dip them in a sugary syrup and eat while hot. A good dish to start with? Preheat the oven to fan 160C/conventional 180C/gas 4. Unless the baking sheet is non stick, line it with foil, then brush the foil lightly with oil. Cut the figs into quarters, from the top almost to the base, and arrange on the foil. Slice the goat’s cheese and arrange in the centre of the figs. Bake for 10-15 minutes until the cheese is melted and tinged brown. Meanwhile, whisk the dressing ingredients with some seasoning. Put a couple of good radicchio leaves on each serving plate. Remove the figs from the oven and place on the radicchio leaves. Scatter the walnuts on top. Drizzle with the dressing and serve warm or at room temperature. 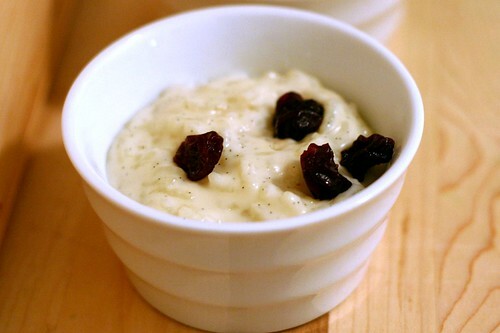 Place the rice into a food processor or blender, and process until coarse, but not pureed. Transfer to a saucepan, and stir in the milk, sugar and dates. Cook over low heat, stirring occasionally until the dates are tender, about 20 minutes. Serve warm or cold. I am going to make that right now! Chicken thighs roasted with figs and lemon slices in a lemon, vinegar and brown sugar glaze. Preheat the chicken thighs in oven to 400 degrees F (200 degrees C). Squeeze juices from halved lemon into a small bowl, then stir in brown sugar, vinegar and water; set aside. Place figs and sliced lemon segments in the bottom of an 11×16 inch baking/roasting dish. Arrange chicken thighs on top, then pour vinegar mixture over chicken. Finally, sprinkle with salt and dried parsley to taste. Bake/roast at 400 degrees F (200 degrees C) for 50 minutes, basting frequently (turn figs if they begin to brown). This is my take on the Kuwaiti dish ‘bechamel’. I cook my macaroni with a stock cube. Meanwhile I chop up a burger and fry it with some onion and garlic.Then I add some tomato paste, a drop of water, salt and pepper, garam masala and chili pepper. At the same time I am making my white sauce ( melted butter, salt and pepper and another stock cube, add flour and then milk and stir wildly!). Put the meat mixture in the blender a little and then put a layer of meat and then a layer of white sauce on the bottom of the cooking dish. Mix all the other ingredients together( macaroni, white sauce and meat mixture). Put in the cooking dish. Now comes my added twist. I sprinkle grated cheddar cheese on top and put it in the oven until the top becomes crispy. East meets West in ”Bechamel Macaroni Cheese”. We loved it.